More than 40 per cent of UK consumers could be getting significantly better broadband speeds for no extra cost according to watchdog Ofcom – although the UK's average speed has gone up significantly in the last year. The jump in average speed from 6.8Mbps to 7.6mbps is welcomed by Ofcom in its latest broadband research, with more Brits plumping for fast broadband packages. However, Ofcom's findings also suggest that a huge percentage are settling for sub-10mbps broadband when better packages are available for little or no extra. "More than 4 in 10 broadband consumers remain on packages with speeds of 10Mbps or less even though many of them would be able to get a higher speed at little or no extra cost if they switched package or provider," said Ofcom's report. On the positive side, 58 per cent of UK broadband now has a headline speed of more than 10Mbps. Of course, when the average is significantly less than 10 that shows the vast gulf in what is advertised and what is actually received by the public, something that Ofcom is hoping to rectify. "CAP and BCAP published guidance in September 2011 on the use of speed claims in broadband advertising, which will come into force in April 2012," said Ofcom. "Among other things, it requires that speed claims should be achievable by at least 10 per cent of the relevant internet service provider's (ISP) customer base, and where a significant proportion of customers are unlikely to receive a speed sufficiently close to that advertised, further qualifying information, such as the speed range obtainable by those customers, should be included in the advertisement. "In addition, any claim should be based on robust and reasonably representative data." 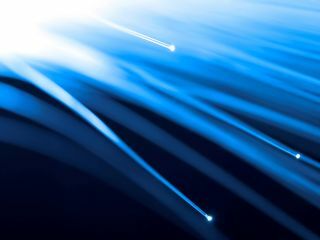 With the next research being conducted in July, it will be interesting to see if the continued roll-out of fibre and ADSL2+ will give UK average speeds another much needed hoik. And even more fascinating to see the advertising of the services finally move beyond the half truths that are served up by so many ISPs currently.